Daryl Johnson (Worcester Park, United Kingdom) on 7 August 2013 in Transportation. Heading off to Kagoshima, Kyushu, last December. This is the new Sakura shinkansen (bullet train), a fine train indeed. A very impressive nose, great framing and light. The reflections are beautiful, great shot. Ah, Robert Stephenson would be so proud to see how it all developed. Quite the long snout on this beauty. @Steve Rice: Certainly is Steve, thanks! 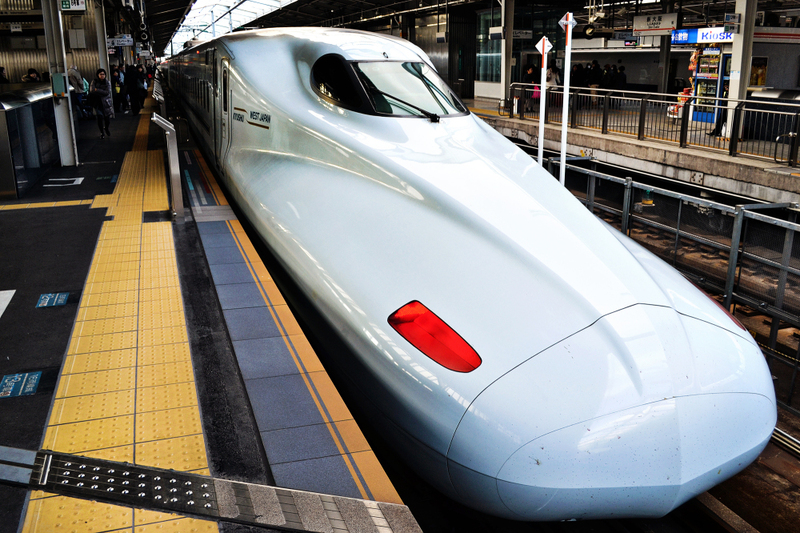 They have very stylish appearances these shinkansen trains, nevertheless they make me think of Donald Duck! @Japanalia: I know what you mean Gabriela! Hey, British Rail! LOOK AND LEARN!